​Jimmy Butler's name dominated Twitter's trends anew on Saturday afternoon when the news broke that ​he was traded to the Philadelphia 76ers. Well, Monday it became *officially* official, with 76ers GM Elton Brand officially announcing the blockbuster deal for the four-time All-Star. ​​“We have a championship window that’s centered around the continued progression of our talented young core, as well as our ability to add elite players who elevate our program,” Brand said. "Now, we’ve added a third top-20 player in Jimmy Butler, who is one of the ​NBA’s very best on both ends of the floor," he continued. "This move further strengthens our pursuit of a championship and gives us a formidable combination to take on the league’s top teams." 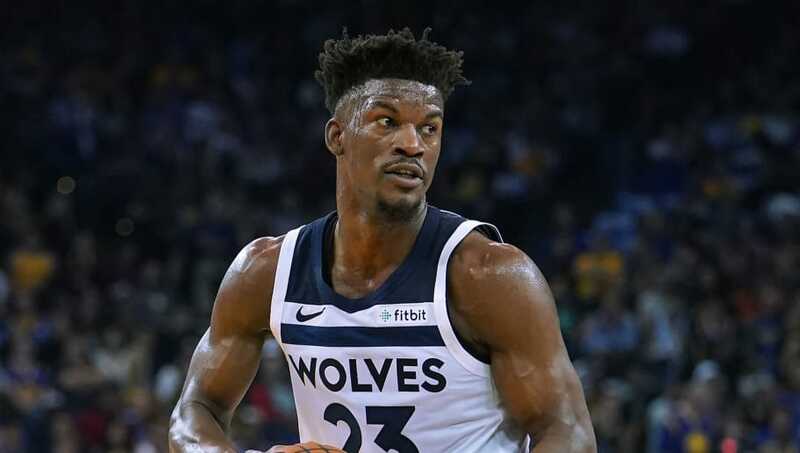 Brand also confirmed the reported terms of the deal, stating that Philly also received Justin Patton while dealing Jerryd Bayless, ​Robert Covington, Dario Šarić and a 2022 second-round draft pick to Minnesota. In their own individual ways, all three players left a positive impact on the franchise, and should hold a place in the story of the Sixers’ ascension back to the top of the Eastern Conference. The Jimmy Butler era in Philly has officially begun.